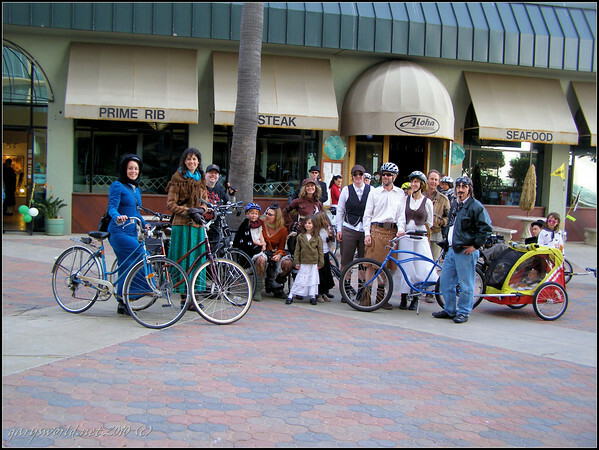 To join the Tweed Ride, gather in Oxnard’s Plaza Park at 10am on October 17th, 2015, and roll out at 11:00 for a leisurely cruise for a tour of the older neighborhoods near Downtown. This short, casual ride ends at the Steampunk Festival at nearby Heritage Square. What’s a Tweed Ride? What’s Steampunk? Totally confused? From around 2008 until 2014, I led ArtRides around the Westside and Downtown Arts Districts of Ventura. For several years, these were monthly performance art political action pieces where we dressed up to call attention to cycling issues and cyclists, and we rode to various art openings on First Friday. How could you not wonder about 50 people dressed in Santa suits in June? After the tenth or so person wearing a cowboy hat or “pretty in pink” or full on Boogie Nights regalia or dressed for a prom or wedding, you wonder if you missed a memo or two. Our rides also included a Tweed Ride, a Seersucker Ride, and a Steampunk Ride (check out more photos here and a link to Gary Steven’s photo gallery from the ride). The first Steampunk Ride in 2010 was during First Fridays while the second Steampunk Ride was during the April 2010 Artwalk. For that one, we made a few different stops and finished at Bell Arts where my great grandmother (actually my mom Suzanne Paquette Lawrence) traveled through time from 1910 via a Steampunk Time Machine to regale us with her stories of old-time Ventura, then we held a kids Steampunk Fashion Show. Now THAT was a day to remember. In fact that Steampunk event was really the very last very public performance that my mom gave–and there were well over 100 people there who were fascinated by it. For a tweed ride you want to dress “dapper” — that means tweed, corduroy, woolens and waistcoats are the order of the day – or go steampunk with goggles and brass, or anywhere in-between. Vintage, steampunk, and similar bikes will be on display parking at the event. Here’s a post with lots of Tweed Ride Inspiration! As seen also in the video and photos above, Steampunk is really a theme of reINVENTion, reCREATion, and reCYCLE. Please DO bring recent inventions, cups for libations, and musical instruments. 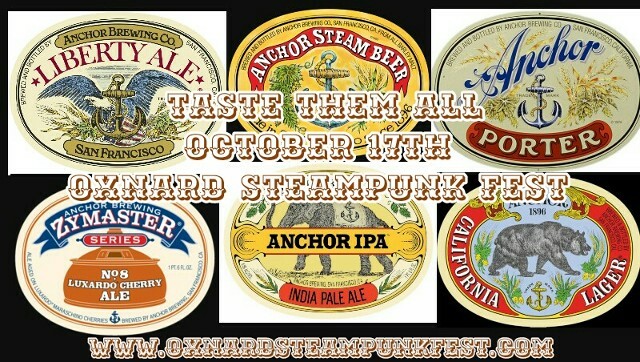 After the ride, celebrate all that is whimsical with The Oxnard Steampunk Fest Crew, the Friends of Heritage Square, and the Oxnard Heritage Foundation at historic Heritage Square, downtown Oxnard, 11-5pm on Saturday the 17th of October, 2015 at a kid-friendly event that kicks off the 25th Anniversary of Heritage Square. Click to embiggen map below; directions here. The Fest includes a costume contest, vendors, workshops, and musical guests including the Velveteen Band (have a listen below). While the event is free, some activities require $$. For example, a $35 ticket admits one to the Aristocrat Lounge, with munchies including a Tea ticket, cheese plate, exclusive Pint Glass, two drink tickets (21+), and a raffle ticket. Rancho Ventavo is located in Heritage Square and will offer wine tastings for $10. And you can’t spell Steampunk without TEA! $15 gets you into a delicious adventure in the Tea Garden. 11:00AM-4:45PM. Workshops include Steampunk 101 ($5) as well as workshops that include materials like assembling your own pair of leather goggles for $40 from 11:00AM-12:15PM, and how to make your own scarf, hat, and utility belt. A fundraiser for the Oxnard Heritage Foundation and theFriends of Heritage Square, the event benefit their educational programming keeping the history of Oxnard alive and well where my mom was an important and influential figure who often performed living history, trained docents, and helped with their events. An airship powered festival of dynamic musical performances and entertainment, artful vendors and much more-appealing to Steampunks, history enthusiasts and modern visitors alike awaits! 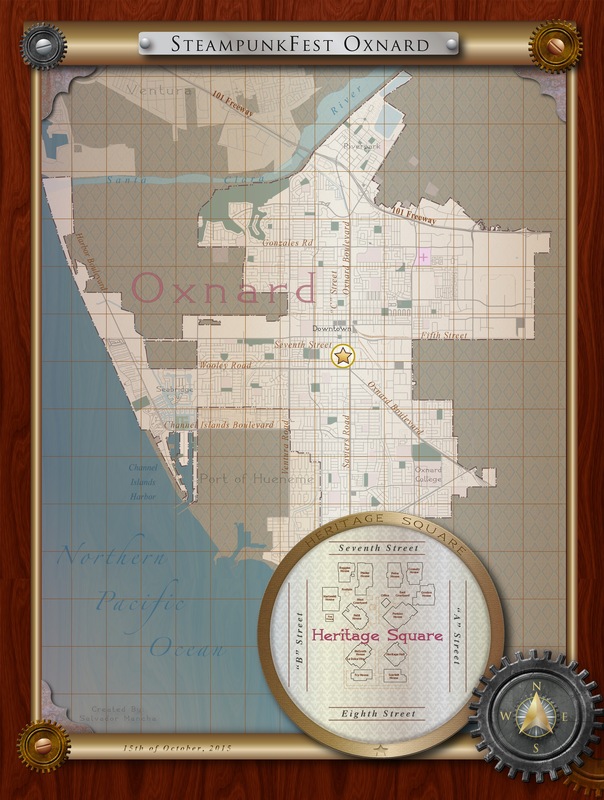 Oxnard’s Heritage Square is a beautiful site with gorgeously restored Victorian buildings, including a church and a three story building that is now a restaurant. This year they held their first steampunk event and it was a lot of fun. 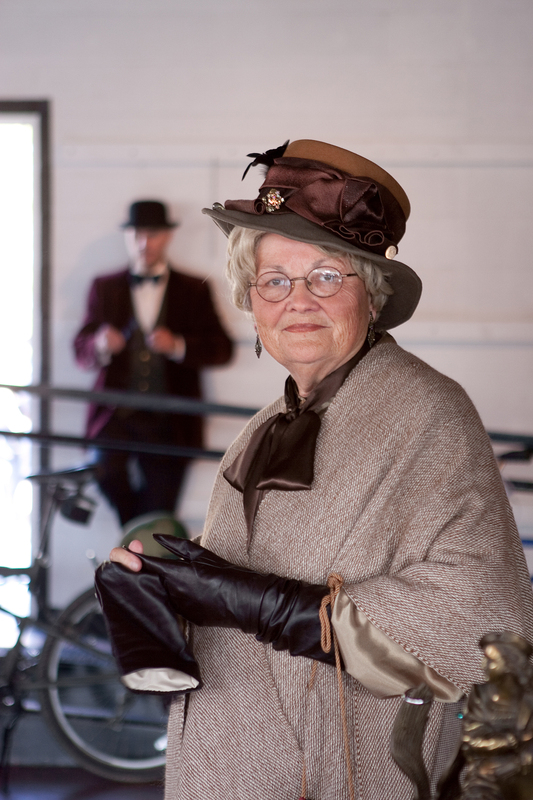 Head on over for their Tweed Ride, workshops and more steampunk fun!